Had a nice birthday lunch with my friends at The Mercado in Resorts World Manila. Its just too bad that we can't take a decent photo inside the restaurant because the resto happens to be inside the casino. But I did manage to snap some shots using my phone but the resolutions not that great. 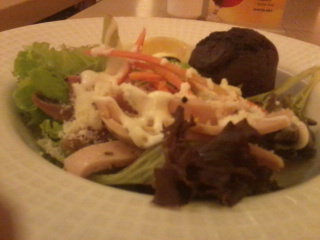 My salad plate. Just some veggies with ranch dressing. Then I got a chocolate muffin, which turned out to be really, really good. 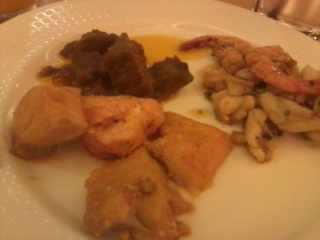 Beef something, Spicy Seafood and Fish. I love the beef, flavorful and tender. The fish is okay except that the salmon had some bones in it. :( But the mahi-mahi tasted divine. Ayan, parang candy crush. 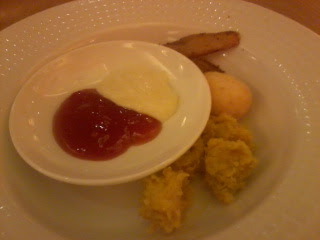 The seafood was just okay, nothing exciting but not lacking either. Its just not memorable. 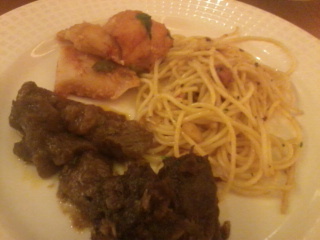 Second round of beef and fish. I just got the mahi-mahi this time. Then some pasta arrabiata which I am really fond of. There's also kambing adobo but maraming buto so I didn't enjoy this dish. Sossy streetfood- squidball, kikkiam, calamares and potato wedges. Just okay. I should have gotten a third round of beef! 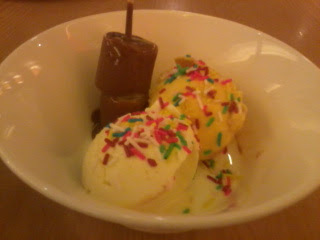 Vanilla and Mango Ice Cream with Candy Sprinkles plus marshmallows dipped in chocolate. Love the ice cream and mallows. 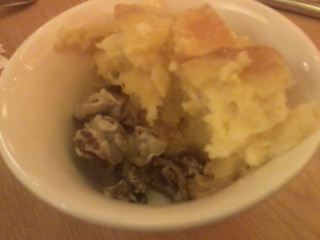 Pudding and chocolate cereals. The pudding was a surprise. It was super sarap! And I even forgot to add the sauce pa. Two thumbs up. My lovely friends, nag-shopping! ;) Missing C today. Hope you can join us soon!